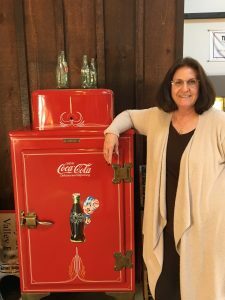 Welcome to Haly & Great Valley Propane, Christine! We are excited to announce that we have a new team member working with us in the Malvern office! Christine Hahn recently started as our new Accounts Payable and Human Resources Manager. She has been here with us for a few weeks and is already considered a great addition to our work family. I started working at Haly Home Comfort and Great Valley Propane on January 3, 2016. One of the main reasons I took this position is that I have been working in the HVAC industry for the past six years. I know what the importance of this industry is for the customers. When it is cold outside and their heater isn’t working or if it is one-hundred degrees outside and their air conditioner is not working, it is the companies’ duty to get there as soon as possible to get this fixed for the customer. Customer service is a very important part of this industry. Just from working here for one month, I can see that we have a great team of customer service representatives that will help you in any way that they can. Before I took the position, the first thing that I looked at was Haly Home Comfort and Great Valley Propane‘s Facebook pages. This showed me that the employees look like they have fun working together and genuinely like working for Haly Home Comfort and Great Valley Propane. When you have happy employees it makes them want to work harder for a company to keep a great reputation. I am happy to call Haly Home Comfort and Great Valley Propane my new home of employment. And I look forward to helping the company achieve their goals. We’re so happy Christine is with us!